Moles and Mr Avogadro: Why the Fuss? 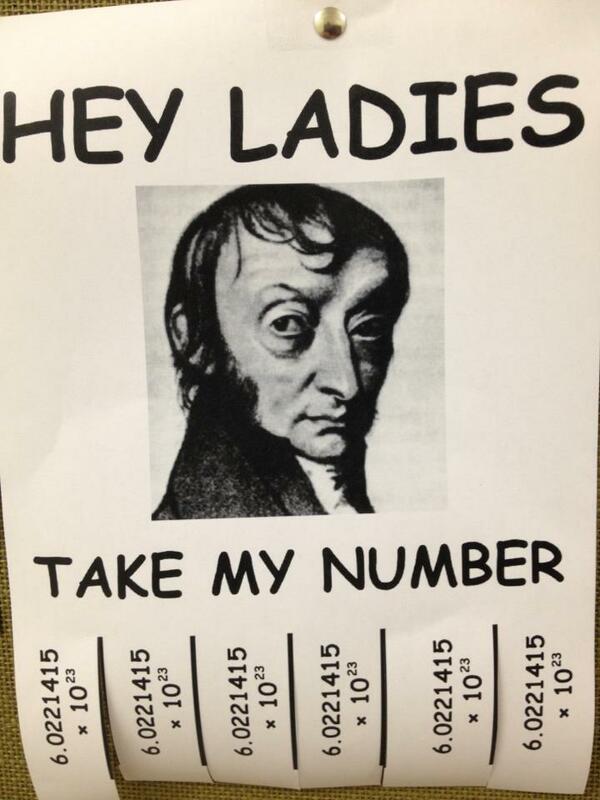 Avogadro’s number. Source unknown, but if it’s yours, please contact me and I will offer proper credit. For the past week, I’ve been teaching the mole concept and conversions between moles, mass, and particles, and even though I remember being somewhat confused by the concept when I was a student, I can’t figure out why this topic is so difficult year in and year out. Part of me thinks it’s simply the magnitude of the number: 6.02e23, or 602sextillion, is just too big for humans to actually comprehend. But a mole is really just a name for a number, like a dozen (12) or a gross (144). So why is it that Avogadro causes so much grief? Here’s TED-Ed’s take on the mole. Maybe it’s the dimensional analysis (ladder method) used to convert between moles, molecules, and mass? So many students tell me that they can’t remember when to multiply and when to divide, but that’s exactly what the ladder method does: it’s just an organizational tool! I’ll let Mr Andersen from Bozeman Science explain the conversions. This entry was posted in MYP Science and tagged avogadro, chemistry, dimensional analysis, mole concept. Bookmark the permalink.